Prebisch realized that, in order to be useful, economics needed to include as some of its central features, those aspects that traditional theory had ignored such as a historical/institutional perspective. Further, he became more aware of the interrelation and interconnectivity between the different countries and regions, and in particular, in the asymmetric relationship between center and periphery and its corresponding and distinct role in the international division of labor. Prebisch’s first reference to center and periphery dates back to 1921, in his analysis of the differences in the colonization of the Río de la Plata and the United States. In other words, prior to the publication of the development Manifesto in 1949, Prebisch had developed a sophisticated conception of the process of historical development of capitalism. This allowed him to understand the problems of the international monetary system from the perspective of the relationship between the center and the periphery. In 1944, after he left the Central Bank of Argentina, he published a review of Keynes and White's plans (here in Spanish; subscription required). Prebisch highly approved the countercyclical element in Keynes’s Clearing Union. He nonetheless expressed his reservations about the plan. This was due to the fact that, according to Prebisch the balances of the members of the Clearing Union were to be deposited in a single institution and these had the obligation to spend their balances on commercial transactions between themselves. As a result, it did not promote the creation of a balanced and equilibrated commercial system that would benefit in any way the countries of the periphery. Notwithstanding his critical appraisal of Keynes’s proposal Prebisch reserved his harshest criticism for White’s plan. 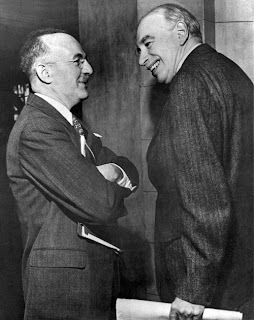 Prebisch argued that White’s plan was even less favorable to the periphery than that of Keynes. Moreover, in spite, of providing temporary relief to balance of payments disequilibrium, White’s plan ultimately contained a strong contractionary bias. This could have a strong and negative effect in the growth of output and employment in the countries of the periphery. And on this Prebisch was correct, as that was the eventual effect of the International Monetary Fund (IMF), which was mitigated for a while as a result of the Cold War and, in the case of Europe, by the Marshall Plan (in Japan and other geopolitical hotspots in Asia too assistance reversed the contractionary bias of the balance of payments adjustment process). Prebisch proposed an alternative plan, a full employment plan in line with that of John H. Williams, Harvard professor (from a time before Excel; yes, meaning Reinhart and Rogoff) and advisor to the Fed (for his views go here; subscription required too; for critical analysis of Williams contributions go here). This consisted in that the governments of the countries belonging to the center (and in particular in the United States) compensate the fall in economic activity with increased public expenditure, including public works to sustain high levels of employment and output. This plan also contemplated directing the flow of credit to avoid unsustainable disequilibria. Even though Prebisch did not realize, his plan was consistent with Keynes' views regarding the need to sustain rather than abolishing expansions. For Prebisch the benefits of a full employment plan were immensurable, yet, he was not overly optimistic that the more developed economies (i.e. the economies belonging to the center) would ever adopt full employment policies. This view point would endure as a crucial component of Prebisch’s thought even when he seemed, at the end of the 1940s, to shift his analysis towards the longer run problems of Latin America and the need to promote the industrialization of the periphery. * Modified from the Spanish version of the paper linked here. ** Prebisch's views on inflation at this point were strictly conventional and based on the notion of forced savings (excess demand). Actual US Poverty Twice Official Figure: 1 in 3 Americans Cannot Meet Basic Needs. "The official poverty statistic comes from a measure that was created in the mid--well, early 1960s. And it was really put together quickly, and it was kind of considered a placeholder, just 'cause the federal government wanted to have some way to measure poverty and basically took a very low-cost food plan and just multiplied it by three and decided that that was what would account for what a family would need just to be at a poverty-level standard of living. So that has been the measure over all this time, so about 50 years now [...] But, this official count has been criticized widely." "Although China's impact in Africa receives the most attention, China trades just as much in Latin America as in Africa, and has more investments in the region. 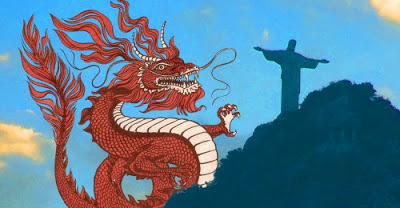 Chinese finance in Latin America – chiefly from the China Development Bank and the Export-Import Bank of China – is staggeringly large and growing [...] China's presence is a great opportunity for Latin America, but it brings new risks. If the region can seize the new opportunities that come with Chinese finance, countries could come closer to their development goals, and pose a real challenge to the way western-backed development banks do business. However, if Latin American nations don't channel this new trade and investment toward long-term growth and sustainability, the risks may take away many of the rewards." New book from Monthly Review Press by Henry Giroux exposes the grim reality of how our nation's educational, social, and economic institutions continually fail young people by way of what Giroux identifies as the “four fundamentalisms”: market deregulation, patriotic and religious fervor, the instrumentalization/commodification of education, and the militarization of society. We see the consequences, as Bowles & Gintis manifested in their classic 'Schooling in Capitalist America', most plainly in the decaying school system, which is increasingly designed to churn out drone-like future employees, imbued with authoritarian values, inured to violence, and destined to serve corporate feudal lords (more on this, see here and "Violence, USA" by Giroux). In a previous post I suggested that the process of development might not necessarily lead to a great increase of energy per capita consumption (based on the work by Smil). Note, however, that presumes a significant increase in efficiency. 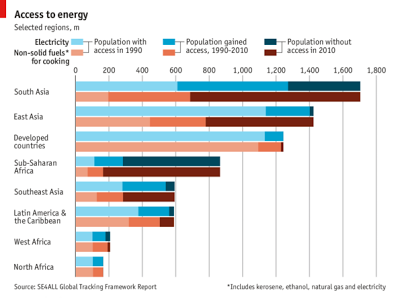 The other side of the coin is the lack of access to energy in several developing countries, particularly South Asia and Sub-Saharan Africa, as can be seen in the graph below (source here, h/t The Economist). This suggests that the distributive problem (between developed and developing countries) is at the heart of any real reduction of consumption per capita, since one might expect that (even with more efficient technologies) in developing countries, catching up will necessarily lead to higher levels of per capita consumption of energy. "The interpretation of the fund as a means for expansion rather than for stabilization is encouraged by Lord Keynes' address before the House of Lords. 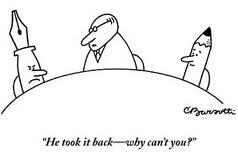 It sounds like the philosophy of deficit spending over again, - the use of credit as a cure-all." Bankers were not very fond of deficits and full employment, then and now. They wanted a smaller fund, with currencies tied to gold (presumably the dollar, like White wanted and got it), to avoid inflationary pressures. An anti-Keynesian IMF. And it seems that bankers got basically what they lobbied for. By the way, bankers have been lobbying for watering down all the regulations associated with Dodd-Frank and the so-called Volcker Rule in the last few years. How well do you think they fared this time around? "Although Marx did make a number of errors in elaborating his theory of value and the profit rate, these missteps do not undermine his larger scientific project. Far greater damage has been inflicted by his would-be Temporal Single System defenders, who camouflage Marx's errors by detaching him from his Ricardian roots; in the process they redefine value in a way that trivializes its function in Marx's system." "I have reported on a large number of occasions that properly measured, inflation-adjusted and cyclically adjusted public budget deficits have been associated with more rapid subsequent growth in real GNP or GDP and with reductions in unemployment." "To the extent that higher deficits were embodied in increases in government expenditures for goods and services, there appeared to be further reductions in unemployment or in the rate at which it was increasing. Each percentage point of increase in the ratio of government expenditures to potential GDP, DGEPC, was associated, in both the time-series and the cross-sections, with about 0.2 percentage points less of unemployment during the current year.DGEPC, was associated, in both the time-series and the cross-sections, with about 0.2 percentage points less of unemployment during the current year." So fiscal expansions are expansionary. Worth remembering and re-reading Eisner in the current situation. Steve recently posted (not I) on the possibility of a big breakthrough in cold fusion technology (hey, he is at the University of Utah after all; on Fleischmann and Pons see here). But even if that occurs in the near future energy transitions tend to be a very slow process as explained by Vaclav Smil (reference below), which should make you a bit more pessimistic. The process is really slow. 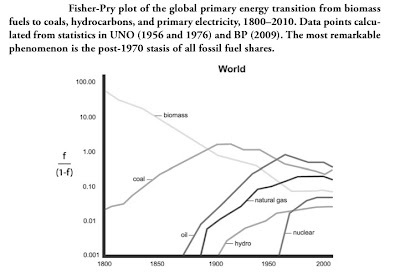 He shows that, in the US, only in the 1880s coal surpassed wood as the main energy source, something that occurred in China somewhere in the 1960s, and is still happening in some places in Africa. The 19th century was still part of the millennia dominated by wood burning, and the 20th century was dominated by coal, with oil becoming relevant towards the end. By the way, coal still generates almost 30% of the world's electricity. 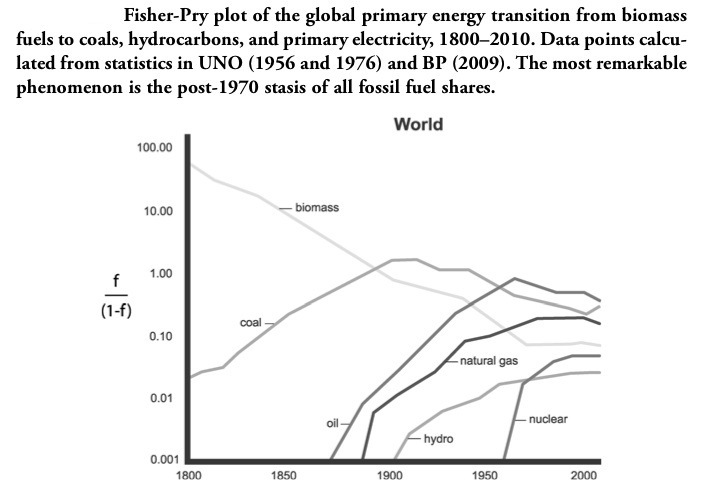 The figure below shows the time frame of energy transitions. Given the slow transitions and the effects of biofuel consumption on climate change it would seem that we are doomed. However, Smil is considerably more optimistic (on this he resembles Steve) on the possibilities for the survival of civilization. The biggest change in last two centuries with respect to energy use is the rapid increase in efficiency. As he notes, in open fires only 5% of wood's energy ends up as useful heat, while today's most efficient furnaces convert around 95% of natural gas to heat. So with better batteries, non-oil based fuels, less wasteful transmission of electricity, and more efficient technologies in general one can expect per capita stocks of useful fossil fuels will be only marginally smaller by the end of the century, and perhaps with a significant reduction on their environmental impact. In fact, he suggests that with about half today's energy demand it is possible to maintain the quality of life associated with the world's developed countries, and, hence, the eventual decline in oil's share in the global energy supply will not mark the end of civilization (which I'm glad, since I'm kind of personally attached to civilization). Also, I should point out, increased efficiency may come out of regulation, as noted by Smil. For example, the Corporate Average Fuel Economy (CAFE) regulations, which allowed for a doubling of the average efficiency from 13.5 to 27.5 mpg (and you thought regulations do not work! ), were incredibly efficient. The other way to improve efficiency is economic growth (as I argued before; that was I, not Steve). So it seems that if you want to preserve civilization, growth and regulation is the way to go. Of course that is no guarantee that that we'll get either regulation or the kind of technical change that comes with growth (in particular, austerity seems to suggest a prolonged period of stagnation, but that should not make you happy even from an environmental point of view). Smil, Vaclav (2010). Energy Myths and Realities: Bringing Science to the Energy Policy Debate. AEI Press. Kindle Edition. An economic snapshot provided by the Economic Policy Institute highlights the fact due to weak a job market as a result of the Great Recession and its aftermath, labor force participation of people under age 25 has dropped substantially over the last five years—much more than would be expected given their long-run trend. 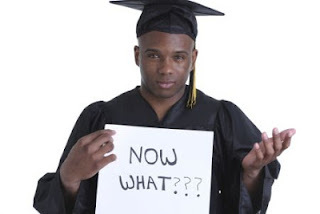 There are likely more than a million workers under the age of 25 who are not in the labor force today who would be if adequately paid job opportunities were prevalent (see here for more details, and also here). 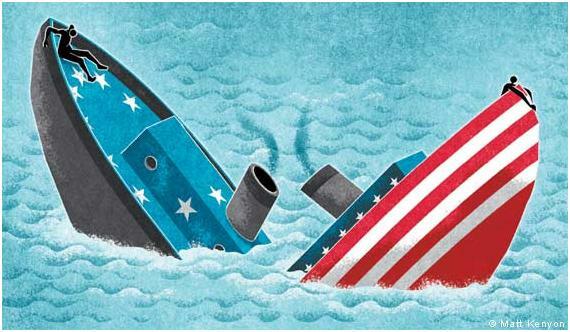 There is a striking contrast between how the eurozone and the United States have handled their economic depressions. "The eurozone recession is now the longest on record for the single currency area, according to official statistics released last week, as the economy shrank again in the first quarter of this year. A comparison with the US economy may shed some light on how such a profound economic failure can occur in high-income, highly-educated countries in the 21st century..." (rest - see here). "At this point everyone who follows economic policy debates knows about the famous Reinhart-Rogoff spreadsheet error uncovered by a University of Massachusetts graduate student. 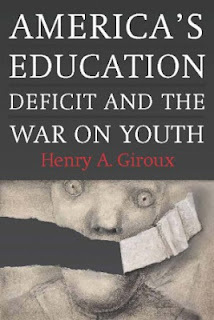 When the error is corrected, there is nothing resembling the growth falloff cliff associated with a 90 percent debt-to-GDP ratio that had been the main takeaway from the initial paper..." (see rest here). 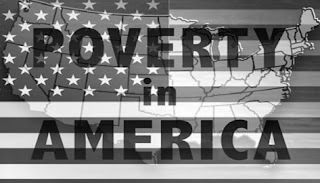 The Census Bureau has reported that one out of six Americans lives in poverty. A shocking and despicable figure, to say the least. The extent of deprivation, however, is much (much) worse - see here. In another post I pointed out one (and there are more) of the theoretical problems with Benn Steil's account of the Bretton Woods history. I would also emphasize that there are questionable historical assumptions too in his book. In particular, the book's description of both Harry Dexter White and Lauchlin Currie as Soviet spies is problematic. 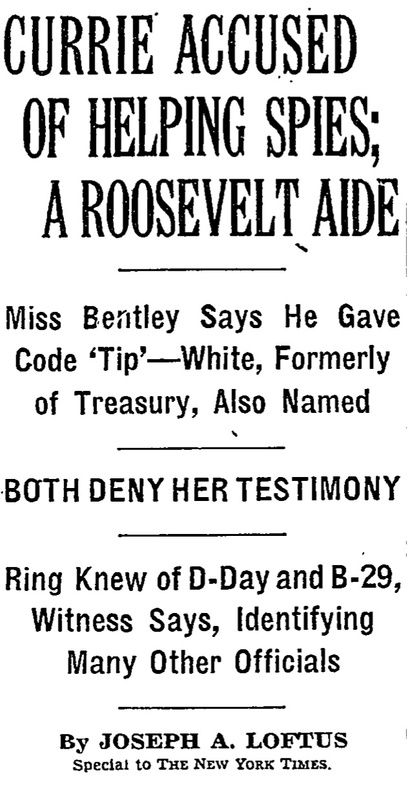 Steil basically accepts at face value Whitaker Chambers and Elizabeth Bentley's, two self-confesed Soviet agents, testimonies regarding White and Currie, and a certain interpretation about the revelations of the Venona Project after the fall of the Soviet Union (the original New York Times story here; subscription required). "That he was a Soviet agent is, of course, untrue; what is true, is our failure to remember that the Russians in those days were our allies, and taking casualties beyond anything experienced by Americans. 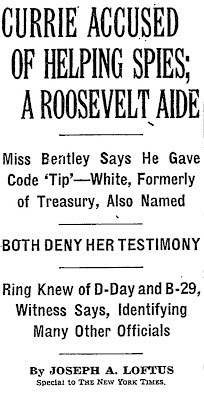 It was, in those days, official policy that we offer help, and the Russians could be certain, and rightly, of a warm reception as allies in Washington. As I say, this has now been forgotten; only those of us who were there remember our relief when they came into the War and the way they took casualties and suffering far beyond anything experienced ourselves." On the White case the book to read is Bruce Craig's Treasonable Doubt that also suggests that the case against him is at best inconclusive, indicating that the information he shared with the Russian allies was not part of a espionage operation. This indicates that, while they passed information to Soviet agents, they did not intentionally betray the US national interests. As Julius Kobyakov, a Russian intelligence agent, suggested here: "Among the members of my profession there is a sacramental question: 'Does he know that he is our agent?' There is very strong indication that neither Currie nor White knew that." On this very topic is worth noticing what Steil himself tells us about White regarding Bretton Woods negotiations. 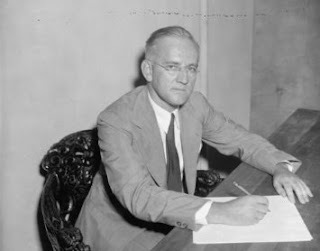 According to him: "White wanted to make the US dollar, and only the US dollar, synonymous with gold, which would give the US government a virtual free hand to set interest rates and other monetary conditions at will -- not just for the United States, but for the world." In other words, he put US interests above anything else in the Bretton Woods negotiations, something that would make the International Monetary Fund (IMF), an institution that owes more to White than Keynes, a tool of US interests and for creditor countries in general. If he was a Soviet spy then he had his priorities upside down, or was a terrible spy. In more general terms, I would add, it seems that the line of attack on some New Dealers, like Currie and White, tainting them as Reds or fellow travelers, is not very different from the indictment of Keynes's ideas on the basis of his sexual orientation, recently brought to general attention in the Niall Ferguson case. One cannot trust the childless-gay-commie is the not so subtle message. If you cannot attack the ideas, go for the messengers' credibility, that's the right wing nut fringe strategy. PS: Currie and White are only the tip of the iceberg. Svetlana Chervonnaya argues, convincingly, in a paper that Alger Hiss was not the Ales of the Venona documents, and that the case that he was a spy is also open. In the Rosenberg case, the Schneirs argue that while it is clear that Julius was a spy, a low level one that did not pass any relevant information on the bomb, it is also clear that she wasn't and that the US government knew it. If the US had given him the same treatment than other spies got, with similar offenses, he would have gotten a few years of jail time, and she should have not been accused at all. On the effects of this travesty of justice on the family it's worth watching the beautiful documentary by Ivy Meeropol Heir to an Execution. "Fundamental to Keynes are the concepts of uncertainty and under- employment equilibrium. From Hobson we get an understanding of how inequality of wealth and income makes crisis more likely and recovery more difficult. From Marx we get an explanation of why inequality of wealth and income is inherent in an unmodified capitalist system. We need to put together the three accounts in order to achieve a fuller understanding of the events through which we have recently been living." (the rest: see here). PS: A detailed presentation of classical-Keynesian political economy, which is not Skidlesky's view of Keynes, by the way, is provided by Henrich Bortis - see here. Given recent reconsiderations of the Marxian 'falling rate of profit' hypothesis, I reckon it be of readers' interest to consider this article by Enrico Sergio Levrero (see here). "This paper aims at clarifying some aspects of Marx’s analysis of the determinants of wages and of the peculiarity of labour as a commodity, focusing on three related issues. The first is that of Marx’s notion of the subsistence (or natural) wage rate: the subsistence wage will be shown to stem, according to Marx, from socially determined conditions of reproduction of an efficient labouring class. The second issue refers to the distinction between the natural and the market wage rate that can be found in Marx, and his critique of Ricardo’s analysis of the determinants of the price of labour. Here the ‘law of population peculiar to the capitalist mode of production’ (that is, Marx’s industrial reserve army mechanism) will be considered both with respect to cyclical fluctuations of wages and to their trend over time. Moreover, a classification of the social and institutional factors affecting the average wage rate will be advanced. Finally, the last issue concerns Marx’s analysis of the effects of technical progress on both absolute and relative wages (that is, the wage share). It will also be discussed by relating it back to the longstanding debate on the Marxian law of the falling rate of profit, and addressing some possible scenarios of the trend of wages and distribution." "This paper offers a synoptic account of the state of the debate among Marxist scholars regarding the current structural crisis of capitalism, identifies two broad streams within the literature dealing, in turn, with aggregate demand and profitability problems, and proceeds to concentrate on an analysis of issues surrounding the profitability problem in two steps. First, evidence on profitability trends for the non-farm non-financial corporate business, the non-financial corporate business and the corporate business sectors in post-war USA are summarised. A broad range of profit rate measures are covered and data from both the US Bureau of Economic Analysis (NIPA and Fixed Assets Tables) and the Federal Reserve (Flow of Funds Account) are used. Second, the underlying drivers of profitability, in terms of technology and distribution, are investigated. The profitability analysis is used to offer some hypotheses about the current structural crisis." 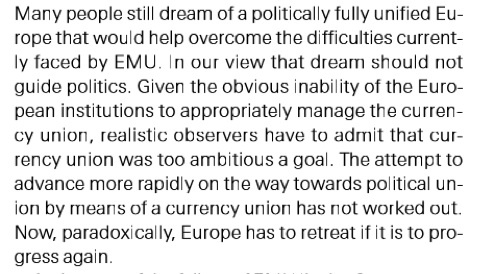 Earlier this month Oskar Lafontaine, German Finance Minister in 1998-99 and leader of the Social Democrats before Schröder, asked for the break up of the euro. Now in a more substantive paper Heiner Flassbeck, Lafontaine's second in command in the Finance Ministry, and ex-head of the macro division at UNCTAD, together with Costas Lapavitsas, also suggests that the euro should be undone. 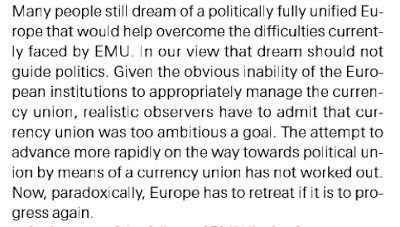 They don't think the acceleration of political unification would allow the crisis to subside rapidly enough, and eliminating the euro would be the best alternative, or so it seems. Whatever your views, this paper is a must read. A new Report by CEPR researchers Rebecca Ray, Milla Sanes, and John Schmitt has come out. As noted before by Juli Schor in the classic The Overworked American, Americans are working harder and not making more money. “When the Government disburses more to the community than it collects in taxes, it adds to national buying power and the demand for the products of industry. The excess of spending over tax receipts in the years 1935-36 was the primary factor in increasing national income, in increasing Federal revenues, in increasing national demand for goods and, hence, in finally making it profitable to make additions to plant capacity in 1936. I hope a memo like this has been sent to Bernanke. Hope springs eternal. I have taken to calling my beliefs on the future of energy sources "weird energy." Why? Because the sources I am most interested in seem to violate the Second Law of Thermodynamics. Notice: this is so inviolable, we capitalize it. But they don't. Why am I so interested in other energy sources? The obvious reason is a quest for zero carbon intensity, so getting rid of the big greenhouse gas. The other one is that the correlation between energy consumption and economic output, no matter how you measure it, and probably no matter when in history you look, is so tight that you could hang wallpaper by it. Some folks think I am weird because of this but, ya' know, data are data when used wisely. And this is really important. Why think about "weird" sources? Minimally, because none of the current clean alternatives are cheap enough to really matter. They may get there, but if there are cheaper sources that work, why not go for them, even if they seem to violate physical laws. Beyond that, the energy potentials for these sources are difficult to logically digest, they are enormous, and should have enormous effects on economic systems. With that, this week an independent group of physicists published the results of three series of tests starting in September last year and concluding in March this year on the so-called E-Cat of Andrea Rossi, an Italian entrepreneur. The big news from the report, found here, is with the most conservative assumptions, the device produces over extended periods a minimum of an order-of-magnitude more energy output than is input or can be explained by any known chemical process. This is very conservative. How conservative? The most eye-opening story is the first test in September 2012. The independent scientists did not have any participation from Rossi or his people; on their own they (accidentally) drove the device to failure in a fairly spectacular manner: the inner steel container of the device melted; the melting point of steel is ~ 1470 C. An outer ceramic container also melted. Ceramics have a melting point of ~ 2000 C. The active component producing this energy is a card-deck size core with powdered nickel, hydrogen, and some unspecified catalyst. No conceivable set of chemicals can produce such a chemical reaction, so something else is going on. I won't go into theory here, as there are many and none which are yet sufficient. I will say this report has caught the attention of a wide group of skeptics who are properly evaluating the result. I believe the image on the left is from a thermal camera. If this result holds, and Rossi successfully commercializes the device, the world will change dramatically. Possibly soon. I will continue to use this space for updates that are significant. "Sweden, which has long been the shining example for liberal economists of what we should be aiming for, seems to be losing its luster. Since the mid-80s, income from savings, private pensions or rentals, jumped 10 percent for the richest fifth of the population while falling one percent for the poorest 20 percent." Not corporations that's for sure (for more go here). Corporate taxes are less than a third of what they used to be in the early 1950s, when that Socialist, Eisenhower, was the president. 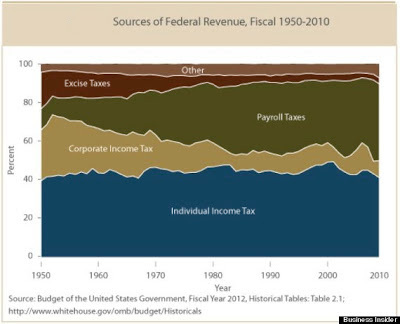 Note also, that Payroll taxes, that are regressive, have also increased over time. The poor and the middle class actually pay for their own retirement. No 'handouts' there. 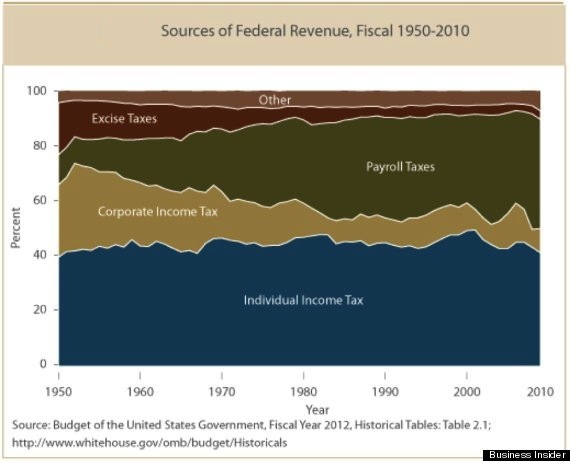 And the decrease in corporate taxes is more or less matched by the increase in Payroll taxes. Tax the poor, not corporations, that has been the rule. According to Chris Anderson, the editor of Wired, in his recent book Makers: “the word desktop is being added to industrial machinery, with equally mind-blowing effect. Desktop 3-D printing. Desktop computer-controlled routing, milling, and machining. Desktop laser cutting. Desktop computer-controlled embroidering, weaving, and quilting. Even desktop 3-D scanning, or 'reality capture,' digitizing the physical world. Desktop fabrication is leading to full-on desktop manufacturing.” The idea is a bit like the old (relatively speaking) book by Michael Piore and Charles Sabel on The Second Industrial Divide, which suggested that flexible specialization was making mass production obsolete. Note that this suggests that the U.S. economy, which is ahead in the desktop manufacturing technology (e.g. 3-D printers, used recently to create ... yes, a gun! ; 3-D scanners, laser cutters, computer numerical control routers, etc.) is actually still at the forefront of the industrial revolution, in spite of the talk about deindustrialization. The expression of ‘dollarization’ has at least two different meanings. In the narrow sense, it refers to massive currency substitution, in which a country, most likely a developing one, supplements its domestic unit account of fiduciary reserve assets with a foreign currency, more often than not the United States dollar or, in some cases, the euro. Note that currency substitution could be complete and might even imply the elimination of a domestic token. Full dollarization in that sense has taken place in small countries, mostly in Latin America, the Caribbean and the Pacific which are heavily dependent on the United States. Dollarization, in this sense, is the exemplification of a country foregoing its national ‘monetary sovereignty’ (Mundell 1961, p. 661). 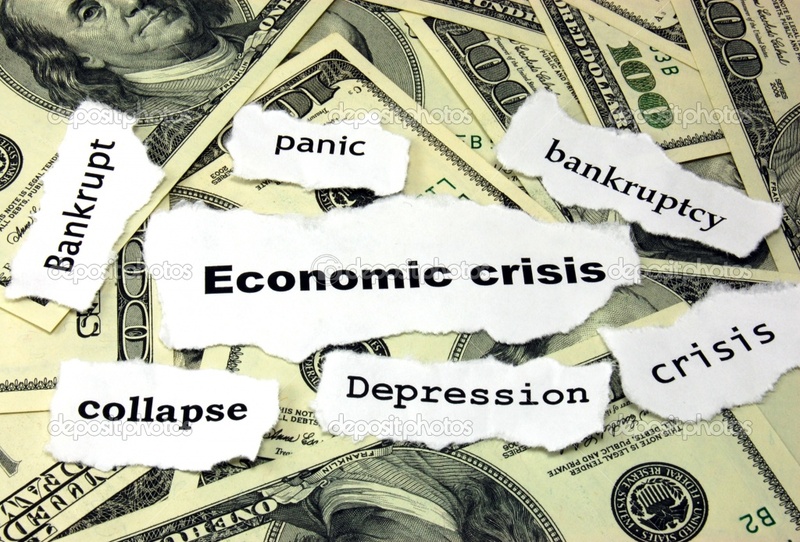 In the broader sense, dollarization refers to US hegemony in the world economy as a result of the US dollar being the numeraire currency in international markets. This christens the United States as the premier international monetary authority that regulates and dictates the flows of international financial commitments for global economic activity. Of particular importance in this context is the fact that the key international commodities, including oil, are priced in US dollars in international markets. The former conception of dollarization can be described as dollarization strictu sensu, while the latter as latu sensu dollarization, i.e. not the specific use of the dollar by a country, but by the whole world economy—an international system in which the dollar is de facto a global fiat money (Vernengo, 2006). Michal Kalecki’s (1943) classic paper, “Political Aspects of Full Employment” remains surprisingly modern, and its message still is worth revising. 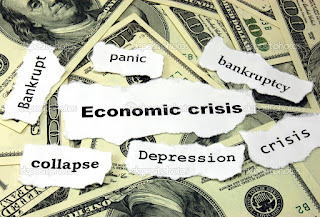 If you read and/or watch the current debates on economic policy in the mainstream media you would think that public deficits and debt are the main economic problem ahead. Further, if you look at Obama’s budget proposal, with the offer of reducing payments to social security recipients, you would think that entitlement programs are unsustainable and must be overhauled. On the other hand, the mainstream media is not as vocal on the unemployment problem, and in some quarters the current rate of unemployment, 7.6%, is seen as not too high, and only slightly above full employment, which is put by some at 5.5% (the so-called natural rate). 1.Robert Barro pointing to the decline in private spending during World War II as evidence that multipliers are small, somehow forgetting rationing and all that. 2.John Cochrane and Eugene Fama confusing accounting identities with causal relationships, and reinventing the Say’s Law fallacy. 3.Robert Lucas misunderstanding Ricardian equivalence. 4.Robert Samuelson and Olli Rehn asserting that Keynes wouldn’t have been a Keynesian given current debt levels, without checking actual British debt in the 1930s (which was much higher than debt now). 5.John Taylor equating Fed policy to hold down interest rates with a price ceiling on, say, apartment rents. This list could be complemented with the one by Brad DeLong on other authors (which include Mankiw and Schumpeter) who have used similar arguments against Keynesian economics. 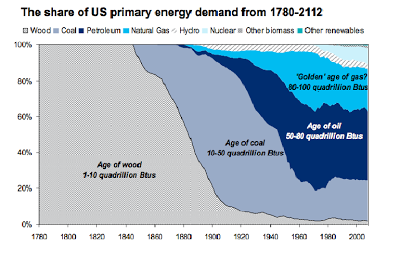 Graph below shows the distribution of energy demand in the US, from wood burning at the time of independence to gas and oil now. Renewable sources are still a small share. But there are good news in that front, with solar energy prices falling at a fast pace. According to The Economist, "Swanson’s law, named after Richard Swanson, the founder of SunPower, a big American solar-cell manufacturer, suggests that the cost of the photovoltaic cells needed to generate solar power falls by 20% with each doubling of global manufacturing capacity." Hope springs eternal. Well not the great policies of credible inflation concious central banks, according to Nate Cline and Nate Perry. The Nates say in a new paper (here) that it was wage compression, associated to lower rates of unionization and higher average unemployment (or lower growth) and lower pass-through effects, which are associated with globalization. The abstract below. "Several explanations of the “great inflation moderation” (1982–2006) have been put forth, the most popular being that inflation was tamed due to good monetary policy, good luck (exogenous shocks such as oil prices), or structural changes such as inventory management techniques. Drawing from Post-Keynesian and structuralist theories of inflation, this paper uses a vector autoregression with a Post-Keynesian identification strategy to show that the decline in the inflation rate and inflation volatility was due primarily to (1) wage declines and (2) falling import prices caused by international competition and exchange rate effects. The paper uses a graphical analysis, impulse response functions, and variance decompositions to support the argument that the decline in inflation has in fact been a “wage and import price moderation,” brought about by declining union membership and international competition. Exchange rate effects have lowered inflation through cheaper import and oil prices, and have indirectly affected wages through strong dollar policy, which has lowered manufacturing wages due to increased competition. A “Taylor rule” differential variable was also used to test the “good policy” hypothesis. The results show that the Taylor rule differential has a smaller effect on inflation, controlling for other factors." PS: An alternative title for the post would be "Nates and the Great Moderation." My son actually loved the Nate the Great books. Economics is an essential part of foreign policy. One cannot think of the Cold War without the Marshall Plan that allowed reconstruction in Western Europe and containment of the Soviet Union in Western Europe. In Latin America one cannot dissociate the Cuban Revolution and the subsequent Alliance for Progress, which basically provided credit for allies in the region, pushed by Kennedy to contain Communism in the region. Geopolitics is, however, often ignored by economists, and political scientists tend to use only mainstream economics when discussing political economy issues. In the case of US-Latin American affairs, the inability to understand the political elements of the economic process, and the incapacity to comprehend the deep causes of underdevelopment in the region explain, in part, the problematic relationship of the Obama administration with the left of center governments in the region. The Obama administration has compounded old mistakes and aggravated the mistrust from progressives in Latin America (for an early discussion of the topic go here; subscription required). John Kerry, the Secretary of the State, has referred recently to Latin America as the American “backyard,” and the Obama administration has not recognized the democratically elected government of Nicolás Maduro in Venezuela. I don't really publish uninformed comments suggesting that the views in this blog are that whatever Keynes said is the word of God, and, hence by definition correct. It is a bit silly, to say the least, since anybody that has read the posts knows that actually the views taken here suggest that the General Theory, in spite of being a great book (for having effective demand) and being essential reading for economists, failed in making the point that effective demand stands in the long run. The reason, again as noted extensively in the blog, is Keynes' acceptance of the marginalist theory of value and distribution, and its implications on the investment schedule. In other words, Keynes, even though he wanted to get rid of the natural rate, by accepting the inverse relation between investment and the rate of interest, ended up conceding that there would be a level of the rate of interest that would equilibrate it with full employment savings. In other words, a natural rate. 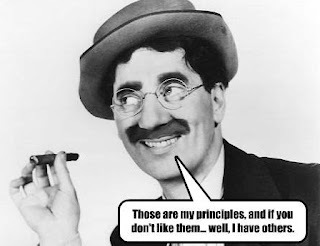 So the point is NOT that Keynes is always right, and everything he said is sacred. In fact, a good chunk of his theoretical framework must be dropped in order to say something coherent, from a logical point of view, and that fits the evidence. Something similar applies to the classical authors. Niall Ferguson has apologized for his offensive suggestion that Keynes' phrase on being dead in the long run was somehow related to his sexuality or the fact that he was childless (more here and here). Good for him. Note, however, that in that famous phrase from the Tract on Monetary Reform, from 1923, Keynes was still very much a conventional Marshallian author who thought that full employment would reassert itself, and that the Quantity Theory of Money (QTM) worked pretty well. In fact, it is often said that the Tract was Milton Friedman's favorite among all of Keynes' books. This was still essentially Keynes' view by 1930, when he published the Treatise on Money, a book that is at heart Wicksellian [so at least he got rid of the QTM in this book], and that suggests that unemployment results from a monetary rate of interest that is too high with respect to the natural rate, in practice as a result from the Gold Standard rules, which Keynes wanted to abandon. [This precedes the modern views that the Gold Standard caused the Depression, by the way, as say defended by Barry Eichengreen]. This was a cyclical crisis that could be solved by reducing the monetary rate of interest, and in the short run employment programs, something Keynes defended in Can Lloyd George Do It? The point of the General Theory (GT) is that there is no natural rate of interest, meaning that reducing the rate of interest would not bring investment to the full employment level of savings, and that the crisis was caused by lack of demand. The equilibrium between investment and savings was determined by variations in the level of output, and in the long run we are not self adjusted to full employment. Hence, the very logic of the phrase above is debunked by Keynes, when he became Keynesian, so to speak, and got rid of the old modes of thinking. Intervention is not needed because in the long run we are dead, but because the long run depends on the short run, and we tend to fluctuate around a sub-optimal position. So in the long run we are NOT dead in the GT, in the absence of counter-cyclical policies we are all in deep trouble. In other words, Keynes was very much concerned about the possibility of capitalism to promote well being for all in the long run. In other words, not only is Ferguson wrong about the effects of Keynes' sexuality and lack of children on his economic reasoning, but he does not even get the point of the phrase. PS: The best book to understand the theoretical changes in Keynes' views is still Edward Amadeo's Keynes' Principle of Effective Demand, his PhD dissertation, supervised by Murray Milgate, and co-supervised by Lance Taylor, published with an intro by Vicky Chick. I should confess my ignorance. 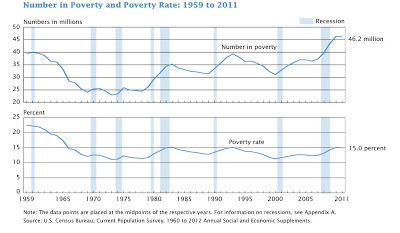 I never actually looked at the time series of poverty in the United States. 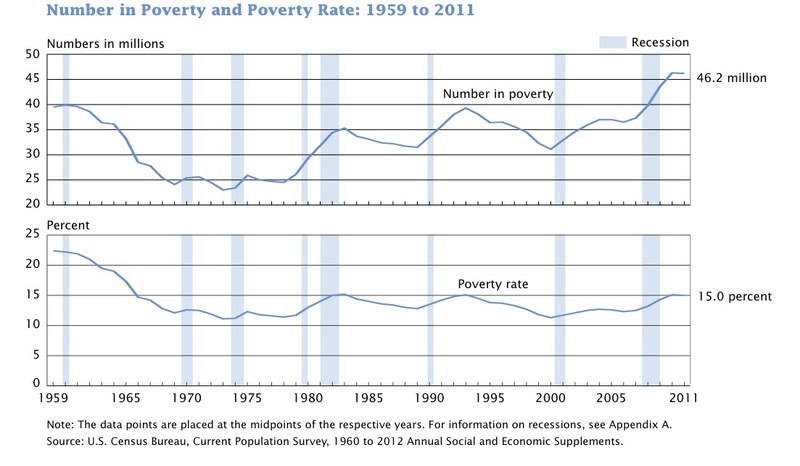 The graph below shows poverty from the late 1950s to the most recent data (source here). Note that since then poverty has more or less maintained its level, with an increase in the recessions, reaching around 15% after the Reagan one, and again after the current crisis, falling during booms. The absolute number of poor is now higher than in 1960, with more or less 46 millions in poverty. The composition has also changed, with the proportion of poor living in female-headed households being larger than before, and the number of extremely poor, in the total poor population, also being larger. Mind you, a lot of the poor are working poor, and some of the explanation for the persistence of the poverty rates are associated to wage stagnation, no doubt. If nothing else, the poor performance of the labor market and the slow recovery hurt disproportionally the working poor. Only one more reason for repealing the Sequestration, and for expansionary fiscal policy, including some kind of work program. Krugman continues to defend his activist policies on the basis of the 'liquidity trap.' Beyond the usual confusion criticized several times here, he says that: "some of the usual rules of economics are in abeyance as long as the trap lasts. Budget deficits, for example, don’t drive up interest rates; printing money isn’t inflationary; slashing government spending has really destructive effects on incomes and employment." So according to him usually you have crowding out (higher interest rates with higher deficits), inflation is demand driven and caused by money printing (exogenous money), and cutting spending has no effect on employment (expansionary contractions). None of this holds in normal times either, and he should know better. The evidence for the effects of budget deficits on interest rates, even in normal times, is not particularly favorable to the crowding out argument. The effects of a higher deficit-to-GDP ratio on long-term interest rates tends to be small, when it's statistically significant. And arguably even that small effect might be due to reverse causality, that is, the higher interest rate causes higher financial spending and higher deficits. The same problems of causality plague the relationship between money and inflation too. And it has been accepted by almost everybody that central banks, always and not just in liquidity traps, control the rate of interest, not money supply. Unless you really believe that the economy in normal times is at full employment. If unemployment is the normal situation, then that would mean that the Fed sets the rate of interest, money supply is endogenous, and inflation, if it does exist, is cost driven. And if you really think that the 1970s inflation in the US was casued by money printing rather than the oil shocks and wage resistance, then it's hard to take you seriously. Issue 2 of the Review of Keynesian Economics (ROKE) is devoted to the “Theory of Endogenous Money”, and two articles (by Scott T. Fullwiler and by Louis-Philippe Rochon and Sergio Rossi) are available free on line here. Also ROKE is planning a special issue on “The Economics of Deflation.” Articles can address theory, policy, history, and country specific experiences. Papers are due May 1, 2014. Further details on the submission and review process are available here. 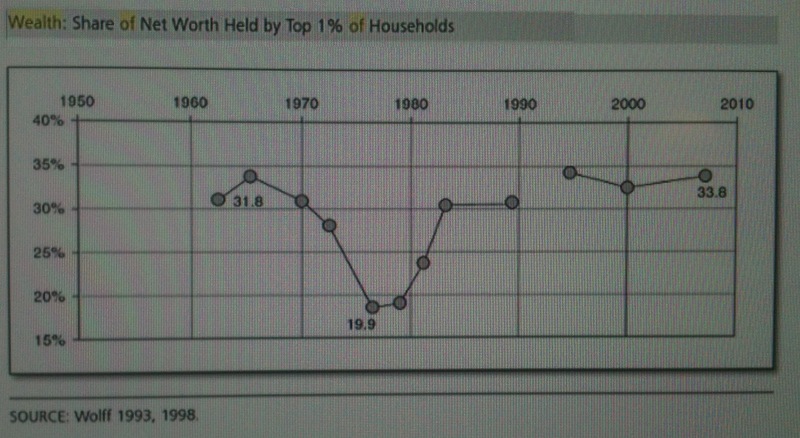 How much has wealth (not income) inequality increased over the last two decades? The graph below, from Dennis Gilbert manual, based on Ed Wolff and his own calculations shows that significantly. 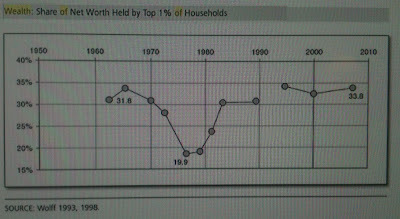 At the bottom in the late 1970s, the top 1% held around 20% of net worth, while by 2009 they had 33.8 or so. Wealth inequality shows the same U-shaped curve than income inequality, but interestingly enough the low point is more short lived (I don't have a longer series, like the one for income associated to Piketty and Saez). Who's afraid of foreign public debt? Ricardo Hausmann decided to get his two cents on the public debt debate started by the Reinhart and Rogoff debacle. Hausmann was a famous defender of dollarization (see here his instructions for implementation, because, you know, it's a no brainer; you can go here to see his predictions that emerging markets will no longer have national currencies, since they cannot borrow long term in their own currencies) in the past, when he was the chief economist at the Inter-American Development Bank, and was for it in Argentina, Ecuador and other places. Coming from Venezuela, Hausmann knows that foreign debt and domestic debt should not be mixed. He fudges the issue and does not explicitly says that public debt in national currency is not a problem (and that you cannot default on a currency you print), but he does say that: "The level of debt does matter, and its currency composition matters even more." In other words, foreign denominated debt does matter, since a government cannot monetize a foreign denominated debt. The level that matters is the foreign one, that is, the composition. That's all, and actually this points out a significant problem in Reinhart and Rogoff's work, which does not distinguish carefully enough between foreign and domestic denominated debt. So his conclusion that you must be an Austerian in a boom in order to be able to be a Keynesian in the crisis is plain wrong. Like his defense of dollarization (which he later retracted, and suggested a plan B for Argentina). The principle that debt in domestic currency is not problematic is fine, but his defense of austerity in the face of a recession for certain situations is just plain wrong. Hopefully he will change his principles on this subject too. * Interestingly enough Spain is like a dollarized country, something he defended in the past.